Home → Inspiration → Boule — blockchain voting. Landing page. 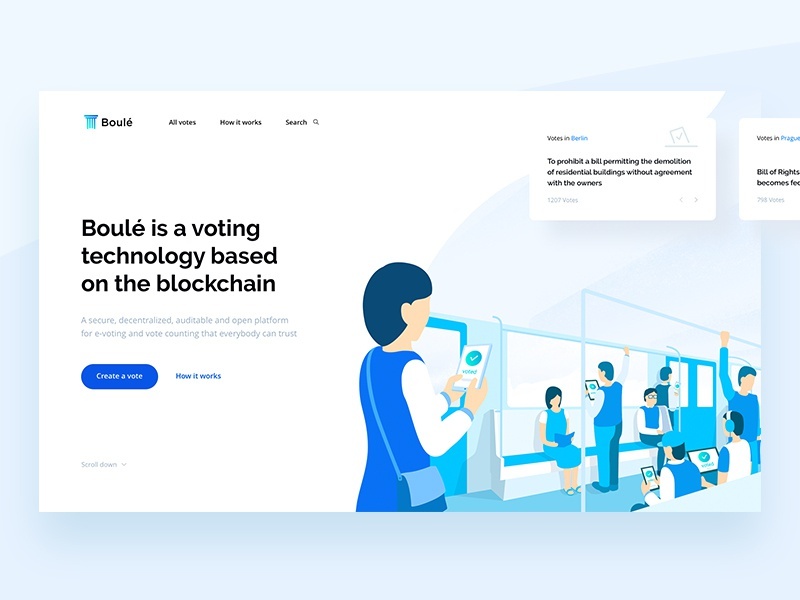 Boulé is a voting technology based on the blockchain. A secure, decentralized, auditable and open platform for e-voting and vote counting that everybody can trust. Check more states in attachments. Thank you!